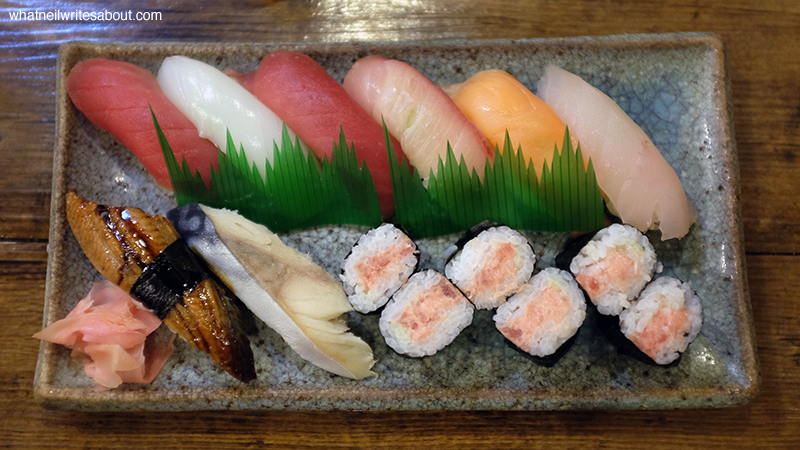 What is it with Japanese food that captivates the soul of our tastebuds? Not too long ago I had this misconception that japanese food was expensive that made it out of reach for people focusing on their budget. 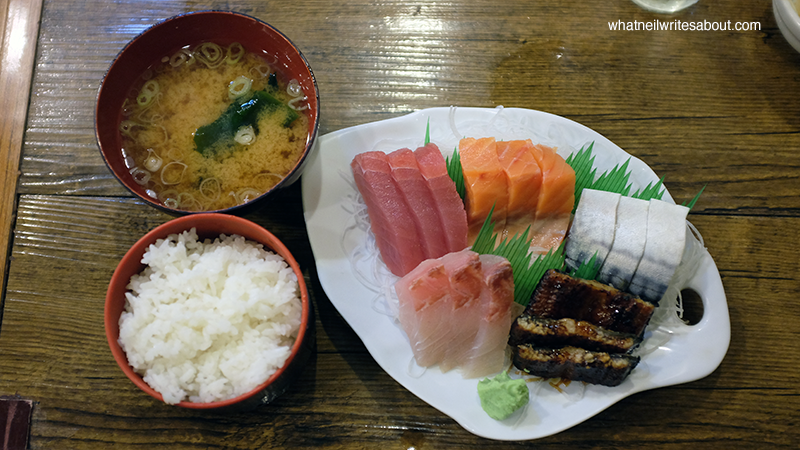 This was till I found Izakaya Kikufuji in Little Tokyo, Makati. If you are coming from Chino Roces Ave., you will find a row of Japanese restaurants each with their own Japanese inspired facades. In the middle of those restaurants is a big white sign saying 'Izakaya Kikufuji' in Japanese and in Romaji. As you step inside you will see a receptionist at your immediate left, tables at your immediate right, and in front of you is the bar where several Japanese chefs prepare your dishes. At your far left are Japanese style tables with cushions for seats that are all on top of tatami mats. Under the said tables is a hole where your legs can dangle. It is also encouraged that you take off your shoes before you sit on the tatami mats. Izakaya in Japanese means a place that serves food that accompany after work drinking. So you would be right if you guessed that Kikufuji serves Japanese comfort food along with alcohol. 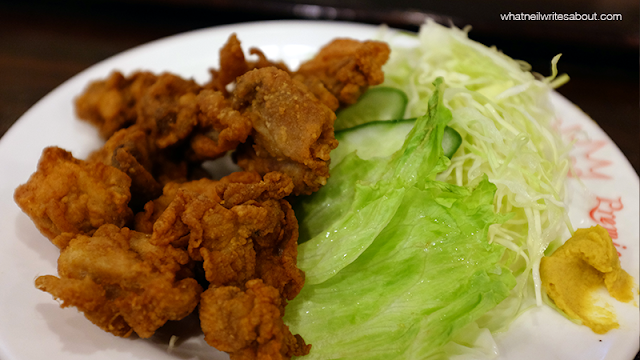 This would entail several classic dishes like Ramen, Soba, Udon, Karaage, Ricebowls, Katsus, Sushi, Sashimi, and the like. The sushi and sashimi platters came in first and they look divine. The sushi is as you see it above while the Sashimi platter came with a bowl of rice and a bowl of miso soup. As they were placed in front of me the smell of the ocean came with it. There is something intoxicating about that smell of fresh fish meat. Each sushi had that wonderful fluffy rice that fills you up quickly topped with soft seafood meat. My personal favorite were the eel, the tuna and the salmon. It's a personal preference that I didn't like mackerel too much as I am very picky with fish meat. 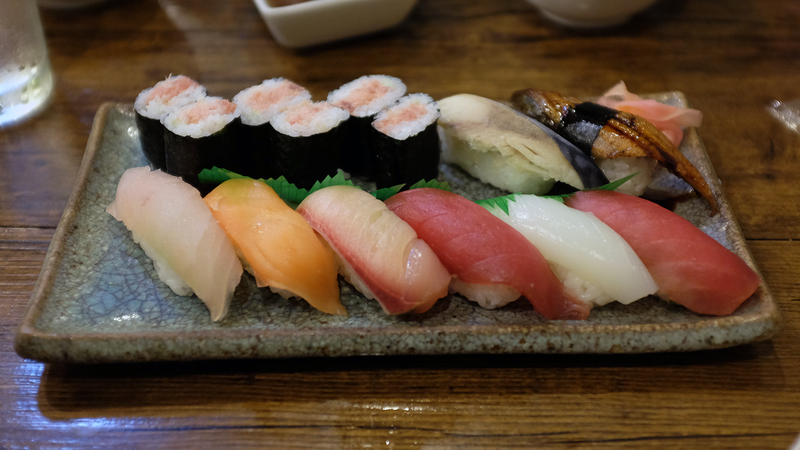 The same can be said with the Sashimi as it is basically cut from the same source that is shipped daily into our shores. I think a trademark of any good dish is that it can stand on its own with or without sauce. In fact I tried each one without the soy sauce first and then with it. I was still blown away each time. Kikufuji so far is the closest to the Japanese dishes that I've tasted when I was in Tokyo and Osaka. 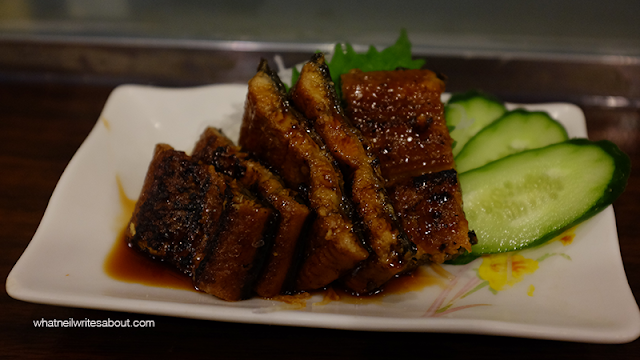 I cannot stress how little difference I could notice with the Izakayas I've been to. Soba Noodles Topped with Nori! Aside from the Fresh fish, I also ordered cold soba. 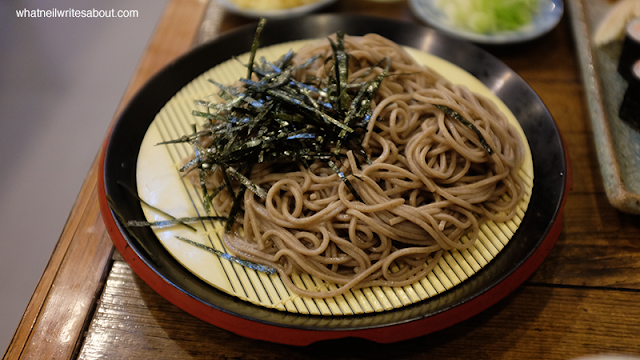 It came with a plate of soba noodles topped with nori and a bowl of sauce where I dip the soba into. The noodles by itself is soft to the bite with a fine texture carried by wonderful flavors of the wheat flour it was made from. The sauce is a mixture of soy sauce and broth that brought contrasting flavors when mixed the noodles were dipped in them. In fact with each slurp of noodles, the flavors constantly battled for my tastebuds' attention. Sour notes constrasting with the wheat flavors with the saltiness of the seaweed. It was quite the delight. It is also a wonderful pair to Sake. Like any Japanese establishment, the service is unparalleled. All the waiters and waitresses were in Japanese traditional costumes and serve you with Japanese hospitalities. They are patient and are easy to approach. Some dishes are prepared quickly while some can take up to ten minutes but are worth the wait. I still remember my first bite of the dipped soba noodles. I can't get over it every time I remember. As I mentioned, the prices here are affordable for Japanese food. The main dishes start at Php 110.00 and can get up to Php 730.00 depending on the ingredients. The Unagi (eel) rice bowl for example goes for Php 650.00. (WORTH IT THOUGH!) The average price range is at Php 200.00 to Php 350.00 per dish. This is quite affordable as compared to the more premium establishment with little difference in quality and flavor.